Laparoscopes allow a surgeon to insert a camera through a small incision and have a complete view of the operating field. A needle driver is used to hold needles during laparoscopic surgeries and is specially designed to allow the surgeon to suture tissue inside the body without the need of a large incision for access. Trocars are used as passageways through the skin and tissue. Trocars are an example of facilitating instrumentation, as they provide the ability for other laparoscopic instrumentation to achieve optimal function. Energy devices have also been recently widely employed with great success. According to Global Opportunity Analysis and Industry Forecast, 2014-2022, Laparoscopy Devices Market was valued at $9,350 million in 2015 and is expected to garner $14,046 million by 2022, registering a CAGR of 5.8% during the forecast period 2016 – 2022. The videos on LapGuru feature a broad spectrum of laparoscopic instruments that enable minimally invasive surgery in a variety of laparoscopic specialties, including General, Bariatric, Colorectal, Urologic and Gynecologic surgery. 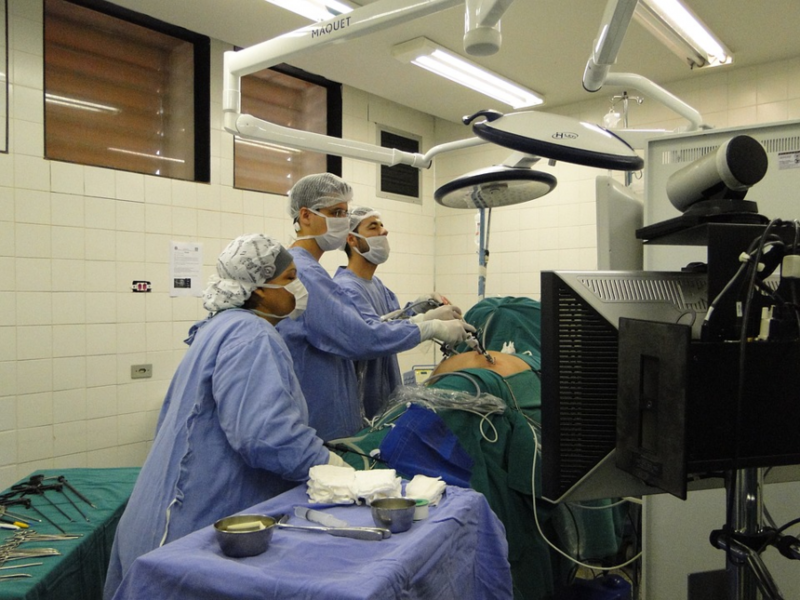 We believe that diversified and quality partnerships with equipment manufacturers are critical for the continuous learning of surgeons which would beneficially influence the their practices and ultimately address those important unmet medical needs. LapGuru hosts hundreds of surgical videos for minimally invasive surgeries, and the areas of interest are treating diseases of sizable patient population, such as cardiovascular, peripheral vascular, orthopedic, neurosurgery, obesity, gastroenterology, hematology, nephrology, gynecology, urology, and plastic surgery. We would like to focus on equipping surgeons with effective and ease-of-use tools so as to reduce the procedure time as well as lower the overall medical cost. The end goal would always be to improve patient care and enhance efficiency. We are committed to achieving success through strategic and innovative partnerships. We look for ways we can collaborate with others to expand our capabilities. Partnerships with laparoscopic equipment manufacturers along the course of ‘Watch, Learn & Practice’cycle is extremely essential to our success, and we welcome any kind of models for collaboration, and strongly believe the rewards and risks could be shared with partners in a fair and transparent manner. Training on advanced procedures and techniques. Partnering with LapGuru is a quick and easy process. Write to us on- support@lapguru.com or call on +91-99 2060 2529.